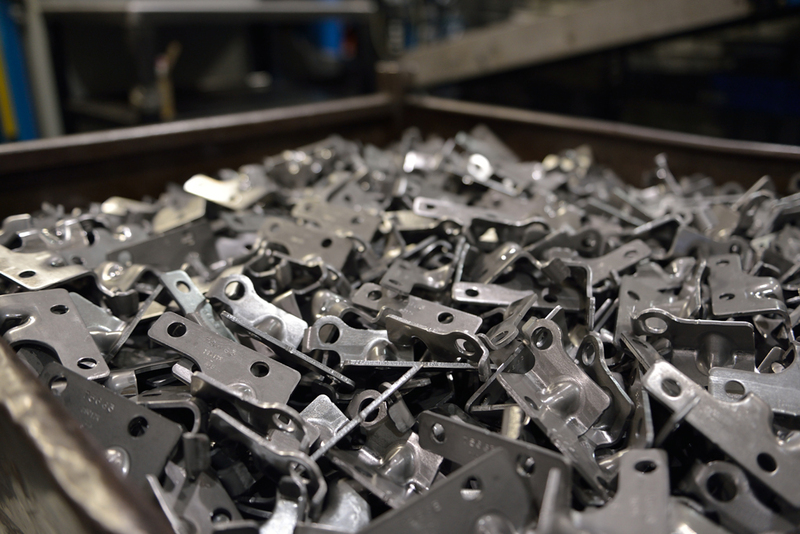 Guelph Manufacturing Group is committed to enhancing the automotive seating industry through our progressive transfer die stampings, prototyping, cost reduction plans, supply base management, and customer production launch support. As a leading North American automotive parts supplier, Guelph Manufacturing is competitive and flexible in all of our techniques, from wire forming to welded assemblies and metal stamping. Guelph Manufacturing will make sure all of your needs are met. Take advantage of our world class capabilities by having Guelph Manufacturing Group be your partner in automotive production. Enhancing customer engineering & process design. Extensive prototyping of all products to support customer design activity and prove out manufacturability. Design based cost reduction activities. Supply base management, including an extensive network of reliable specialty suppliers for Tooling, Coatings, Plastic, Metal components and fasteners. Guelph Manufacturing Group produces high quality stamped parts in two TS16949 certified plant facilities. 100 to 1600 ton stamping presses. Progressive stamping die as well as manual and automated transfer stamping dies. 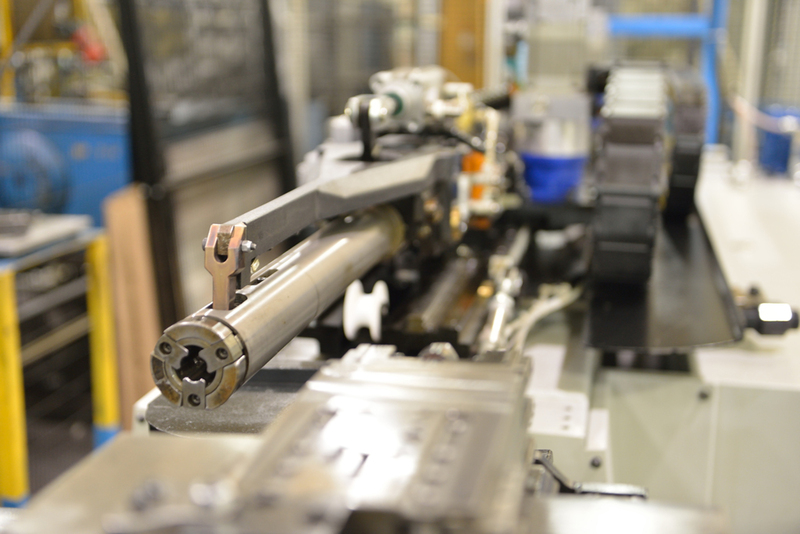 We utilize both servo feed systems for accuracy as well as CNC transfer systems to provide increased flexibility. With stamping press bed size ranging up to 240 inch we are able to handle large die sizes or big bed press requirements that are common to today’s industry. In die tapping (incl. servo driven). In die automated nut and bushing insertion. Customers depend on Guelph for both coordination, design and development of new stamping dies as well as handling off-load stamping work. Contact Guelph Manufacturing early in your part and stamping die design process to take advantage of our full service capabilities. Customer satisfaction in both quality and delivery is our number one objective. State of the art tool service facilities to maintain all of your stamping tools in optimised condition. Tool room capabilities included wire and sink EDM, CNC machining centers, and CMM. 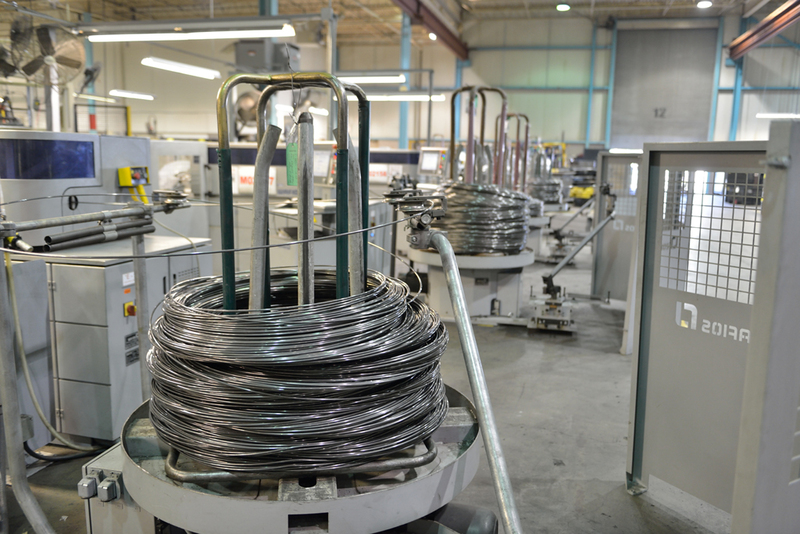 Guelph Manufacturing specialises in wire, rod and tube manufacturing. Guelph can straighten, cut and form wire or rod up to 1/2″ (12.7 mm) and tube bending diameters up to 1.5″. As product applications environments and expectations increase Guelph Manufacturing has developed extensive experience in bending martensitic, high strength, thin wall tubing including both round and square tubing profiles. Chrome and or zinc plating, as well as and e-coat and a-coat finishes through our supply partners. The Guelph welding team has the expertise to deliver a range of technical welding services for your business, taking your welded assembly products to the next level. Guelph Manufacturing is an industry leading supplier of Head restraint armatures to the automotive market. Guelph is a leading supplier with over 20% market share in the North American market. 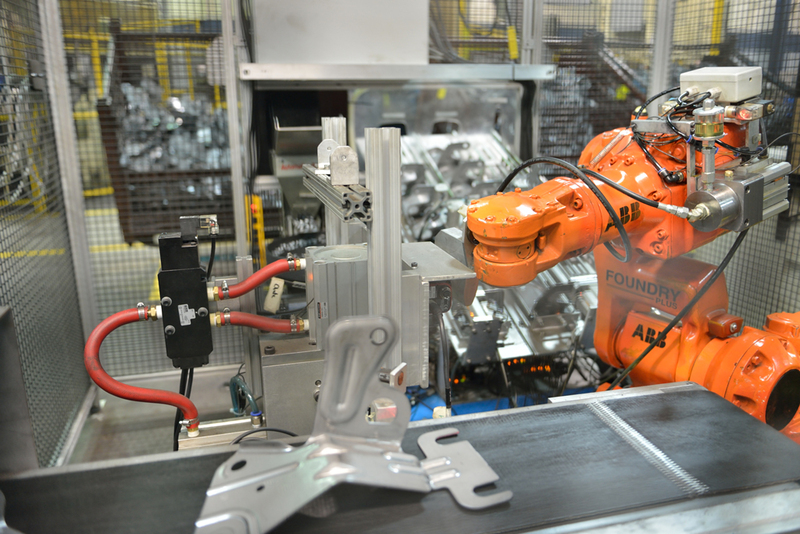 Fully automated head restraint manufacturing cells designed for high volume programs. Guelph Manufacturing continues to strive to exceed the expectations of our customers. We monitor head restraint market trends, and continue to develop our sources for raw material and plating processes to provide the best, head restraint products and processes available.